The Golf Fore the Cure National Event is a culmination of the efforts of female golfers from across the country. 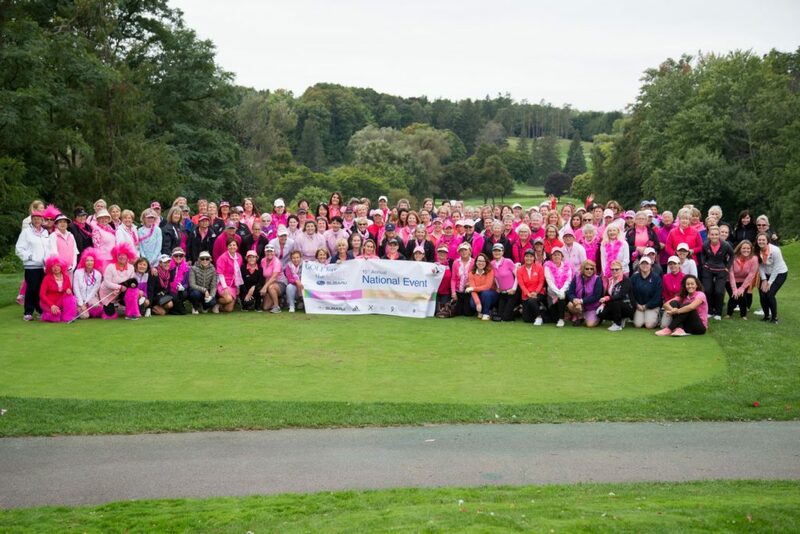 It is a celebration of the success of the entire Golf Fore the Cure campaign and it recognizes all those that have contributed to a future without breast cancer. Individuals, friends and corporate teams will come together to enjoy a great day of golf, food and camaraderie. We’d love to have you join us! Credit Valley Golf and Country Club combines breathtaking scenery with a consistently challenging parkland design that combines tight fairways with large and fast, undulating greens. Incorporated with 5 sets of tees, golfers of all skill levels agree that Credit Valley is a true, fair test of golf. The course is one with nature as the river winds throughout the valley lands. Red-tail hawks and deer are seen on the course early morning and late evening as golfers begin and end their adventures. The finest course conditions are enjoyed by members and guests as the course superintendent and his staff deliver an exceptional daily golf experience. This one event is a celebration of the success of the Golf Fore the Cure events held nationwide during the 2019 season. Golfers of all levels are welcome and encouraged to participate: this scramble format tournament acts as a vehicle for which female golfers of all abilities can have fun and raise awareness and funds for breast cancer. The day will culminate with a special presentation involving representatives from the Canadian Cancer Society, who will be on hand to accept the cheque for funds raised nationally through this program during the summer. To date, the program has raised over $6.4 million for breast cancer research and support programs. We look forward to adding to that total this season! CLICK HERE to register your foursome today! For more information please contact gftc@golfcanada.ca or 1-800-263-0009 x 495.